What’s New with GSLIS SOC? 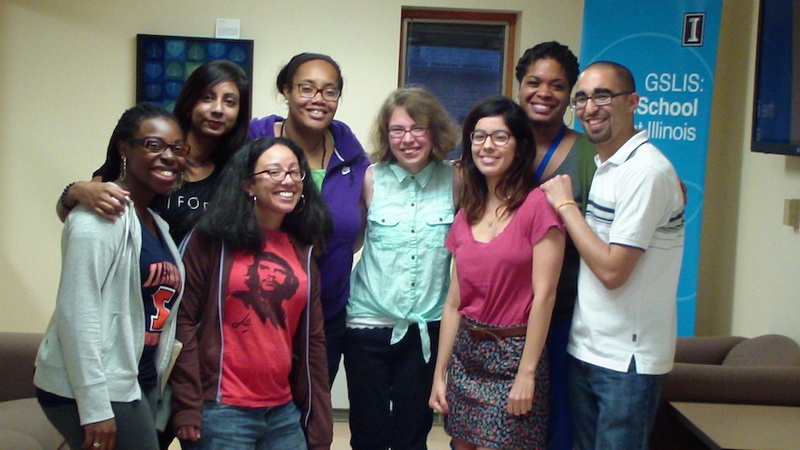 The iSchool at Illinois Students of Color Group is currently on hiatus. We aim to continue to foster a community of inclusion within the School of Information Sciences at Illinois. While we are not currently holding meetings, we will update our calendar with scholarship and professional development opportunities for students of color. Thank you for your support and we hope to revive our group soon! The mission of the iSchool at Illinois Students of Color is to create, support, and promote a community of library students of color at the University of Illinois at Urbana-Champaign and beyond. Our goals are to develop the professional skills and personal growth of its members and add to the quality of the library community at large. The goals of iSchool at Illinois SOC are to connect members by discussing individual research and through interactions at cultural center symposiums. We also strive to develop and enhance our professional skills while addressing issues of representation within academia. © 2013 iSchool at IL Students of Color. All images are copyrighted by their respective authors.